In an era of tight budgets many businesses, from enterprise level to small and medium sized business, are looking for efficient new ways to manage their web hosting needs. The hosting environment is changing, and some are now looking beyond traditional setups, and into the possibilities of cloud hosting. Traditional hosting comes mainly in two forms, dedicated and shared. With dedicated hosting, a company pays for the complete resources of one or more servers from a service provider. The client has a set amount of dedicated bandwidth, CPU, RAM, and drive space, and the client has full control over the servers resources. With shared hosting, you’re also paying for a set amount of storage and processing power. If you have a predictable flow of traffic, this may be a good solution for you. But if your traffic is increasing rapidly, or if you see sudden spikes in traffic due to a new product or feature, you may be constrained the amount of storage you currently have. You will need to adapt by purchasing additional server space to add to your storage space and processing power. But if traffic falls again, you will be paying for resources that you aren’t using. Cloud hosting offers a level of scalability that traditional hosting can’t. 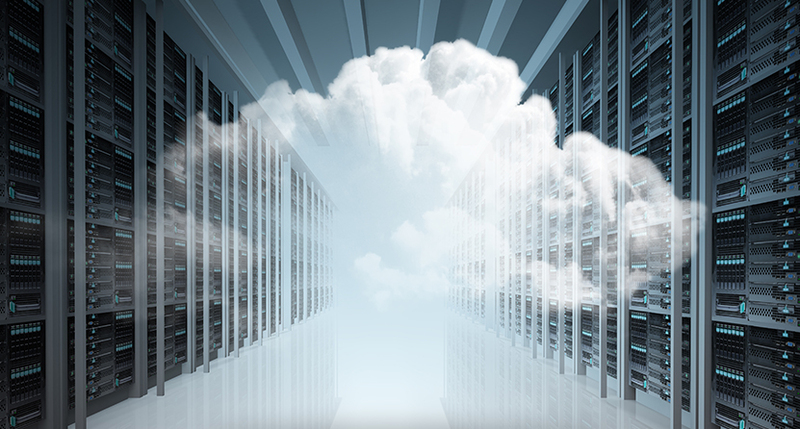 Cloud hosting companies provide virtual space on an on-demand, as-needed basis. Instead of paying for a set amount of space upfront on a single server, the user pays as they go for what they actually use. Cloud hosting companies provide Infrastructure-as-a-Service (IaaS). They house, run, and maintain all of the necessary hardware, and the customer pays for the resources the use, similar to how we pay for utilities like electricity.